Dr. Judi Moreillon is a mentor and advocate for school librarians nationwide. She writes the Building a Culture of Collaboration blog and shares on Twitter and inspires all of us to be leaders in our own libraries. She has served as a school librarian at every instructional level including district-level librarian mentor. Judi taught preservice school librarians for twenty-one years, most recently as an associate professor at Texas Woman’s University. Her postings, presentations, and publications cover the entire range of topics of interest to our field, with her goal to support the professional development of preservice and practicing school librarian leaders. Currently influencing pre-service librarians as an Assistant Professor at Rutgers University, Dr. Joyce Valenza spent 25 joyful years as a school librarian. Her virtual library, launched in 1996, served as a model for countless other efforts. Joyce has mentored, inspired and guided generations of school librarians and educators to become innovative leaders and reinvent practice and generously shares her journey in her blog (since 2005), and through her manifesto, her books, research, wikis, tweets, presentations and curation efforts. 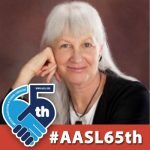 Committed to building our online community of practice, Joyce initiated the #tlchat hashtag, the AASL Unconf and was a mother of TL Virtual Café and our ISTE SIG. 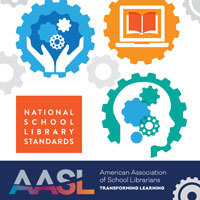 Joyce has served on a multitude of AASL and ALA committees including Best Apps for Teaching and Learning and the Future Ready Librarians team. Joyce was selected as one of Technology and Learning’s 100@30 and won an Edublogs Award for Lifetime Achievement. Jonathan Werner is the Library & Instructional Tech Specialist at Cape Elizabeth Schools in Maine. He manages the weekly #1to1techat Twitter chat to the delight of educators, including librarians, from around the country. 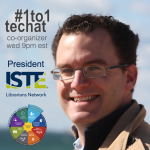 He is the president of the ISTE Librarians network and serves as a leader for school librarians who want to be involved in ISTE and other technology initiatives. He is a member of the Future Ready Librarians advisory committee and tweets from both personal and library accounts. Joyce Valenza has been an inspirational example for innovation, information ethics and her unflagging efforts to demonstrate just how relevant libraries and librarians are in our world. She rules!!! Joyce Valenza gives tirelessly of herself as a library advocate. Joyce is inclusive, intelligent, articulate. She represents the best in our profession. YES! Joyce Valenza the true advocation of school library and librarian. I know so many people wonder if these superstars ever sleep, but I truly do wonder that about Joyce Valenza. She is a visionary who is always leading the charge for librarians to consider how to take their programs to the next levels for the benefit of all library members. She’s always seems to have the pulse on what’s next for libraries and takes time to share her voice with the world through her blog, webinars, and numerous conference presentations around the globe. Joyce is willing to jump into the most difficult of challenges and wrestle with a dilemma to seek solutions that are best for libraries and their members. She is an advocate and a leader that inspires me always. So proud of Judi Moreillon, my cousin, mentor and friend. Not only she she an advocate for school librarians but also a gifted writer. I couldn’t be more proud of her. Judi Moreillon and I were colleagues when she taught at Texas Woman’s University – in fact, we began there on the very same day. She integrated social media into all of the courses she taught, and invited graduate students to follow Facebook posts and Twitter feeds from state and national conferences. Students then discussed their learning from social media. Students in her courses also posted regularly to Twitter lists and sought feedback on their projects through social media. Judi’s goal was for preservice school (and public) librarians to further develop their personal learning networks and to capitalize on the power of social media for professional development. However, these are all factual statements, and cannot begin to cover the most important part of what it is that she has done: infuse students with the joy of discovery, so that they forevermore are adventurers, enhancing their own careers with ever-new discoveries. Joyce Valenza is the epitome of a techbrarian who is a leader of the information and technology age. 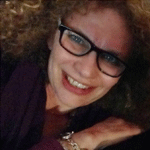 Judi Moreillon began the Building a Culture of Collaboration blog in 2012. At that time, Judi invited three other university faculty to collaborate with her. Each of us posted once a week. Later, we determined monthly themes to further our collaboration. Our goal was to provide a resource with multiple voices for our preservice school librarian graduate students as well as for a larger school librarian readership. From my perspective, the blog continues to inspire school librarians toward leadership and a flexible mindset to navigate the ever shifting paradigm in education today..
Judi Moreillon is a staunch library advocate and leader. She tirelessly shares her knowledge with librarians across the state of Texas and the nation. She is most deserving of this award! I met Jonathan Werner in Graduate School. Since then he is an inspiration in all aspects of running a successful library. He presents at conferences to share his knowledge. I follow him on Twitter to stay current on library trends. Ever heard the label “Rock Star Librarian?” Joyce Valenza is the quintessential rock star. Fellow librarians love and admire her from afar. We hungrily read, view or listen to her sage advice (offered in various formats, of course), and we eagerly look forward to the next big “hit” she will have. Like a rock star, her fans want to be her, or be just like her. Her voice shapes professional practice through her writing, teaching, and mentorship of us all. What makes Joyce an even bigger star is that she sees the entire library landscape and can envision where, why and how librarians can move forward in this landscape. Talented and confident rock stars love to collaborate with others. Joyce is the ultimate collaborator. Joyce wants everyone to be part of her “band” because she truly values the beauty of multiple voices. She shares everything – her curated treasures, her expertise, her time, and, her fame! Perhaps the most humble among the echelon of the ultra talented, Joyce continually recognizes the expertise in others, including her blossoming graduate students. Like those rock stars who skillfully reinvent themselves, Joyce has always focused on what librarians can do not just to remain relevant, but to grow and excel as educators. She continues to shepherd us through the continual changes of modern librarianship with an eye to what’s next. And, like our favorite rock stars, Joyce Valenza has captured a place in the Library Hall of Fame – and in our hearts. For Judi Moreillon, silence is not an option. 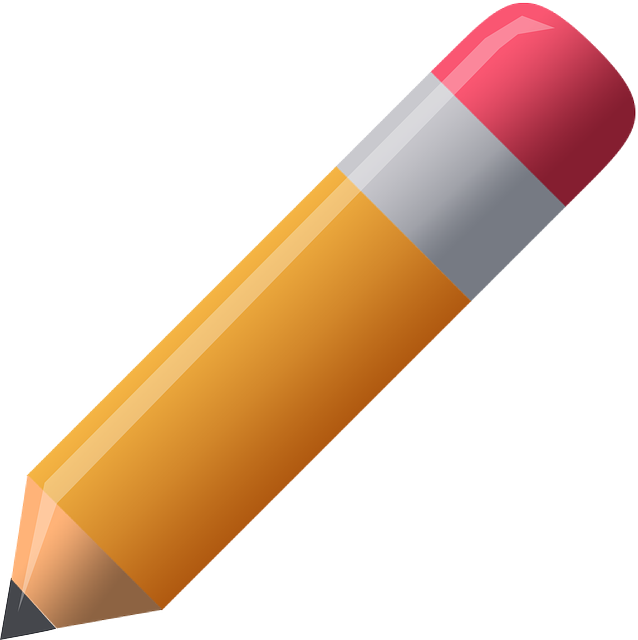 Her blog, “Building a Culture of Collaboration,” advocates for respect and literacy for all. I have learned so much about the work of others from Judi. That’s what strike me most – the way she shines light on the work that others do and not on her own work, which is clearly the critical work of connecting us all and showing us how much we can be inspired by and learn from each other. Judi quoted Lao Tzu in one of her blog entries, “A leader is best when people barely know he (she) exists. When his (her) work is done, his (her) aim fulfilled, they will say, we did it ourselves.” Judi is a luminous leader, the best kind of leader who empowers many others to lead as well. I have followed Joyce Valenza for many years. I can safely say that she has informed my thinking and philosophy of librarianship more than anyone else writing in the field. Her article co-authored with Doug Johnson about the things that keep them up at night distils the critical issues facing our profession as just one example of her thoughtfulness. I had the privilege of working on an IMLS grant for Inquiry learning with Judi Moreillon for several years. Her deep knowledge of inquiry was very helpful as we built a coalition of librarians and a scaffolded inquiry plan. Joyce is one of those go-to people for me. She has informed my practice over the years. Anytime I am thinking about trying something out, I seek out her posts before hand to see if I can find some guidance, and usually I can! I met Joyce during the time she was working on her doctoral research and am continually amazed at her forward-looking leadership. I am grateful for the influence she has had on my professional growth. As a recent transplant to Arizona, I’ve had the good fortune to meet Judi. She is both knowledgeable and tireless in her determination to build leadership capacity in teacher-librarians. I have yet to meet a practitioner as generous with her time, talent and creativity as Joyce Valenza. She inspires and yet, is inspired in turn by her regard and respect for each and every school librarian she encounters and interacts with – she focuses on building community and see herself as but one of many while we recognize her as a sort of “true north” by which we can set our compass of practice to get to where we need to go. She has brought so much honor and distinction to our profession that luminary doesn’t seem a big enough word and yet, if we have a brightest star in our midst , an Alpha Centauri as it were, it is Joyce and it is time we recognize and celebrate her extraordinary contributions. I have followed Jonathan on Twitter for several years. He frequently shares his involvement with the International Society for Technology in Education (ISTE). In addition to the outstanding teaching and learning in his own school library, Jonathan fills me in on the activities of an organization to which I do not belong. It is vital for our profession to be well represented in highly influential technology and education organizations like ISTE. I especially appreciate Jonathan’s commitment to making sure school librarians are at the table when educational technology is being discussed and exemplary practices are being shared. Our profession needs leaders like Jonathan who reach across the aisle. Joyce Valenza must never sleep! She is constantly developing new ways to think about school libraries that further develops and makes accessible their impact. 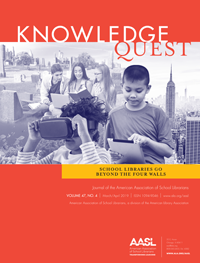 Judi Moreillon offers calm, intense insights about the plight of school libraries – always offering new ways to think about improving their impact on campus success and to increase administrative awareness of that improved student achievement. I have been learning from Joyce Valenza for a very long time! I have never taken a course with her, but I feel as if she were right there with me in library school! Her blog, presentations, and tweets have helped me immensely as I have learned all that my job description entailed. Before I began my first day as a school librarian, I remember rereading one of Joyce’s posts, and feeling like my view of the school library was broad and inviting and filled with possibility. I can’t ever keep up with her and all she does! But she inspires me to have the same energy! Dr. Moreillon is such a leader for us here in Texas! I always read what she has to share. She shows us what true collaboration is all about, always giving examples and new things to think about — especially during #txlchat! She truly understands all that it means to be a school librarian — at every level — and what she shares is always practical, inspiring, and meaningful! Jonathan Werner has been a member of my PLN for a very long time! I appreciate the perspective he offers and how he connects with so many! 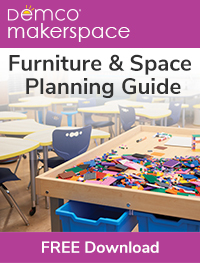 His tireless work in library tech provides helpful examples and possibilities for school librarians! Joyce is one of my library idols. I feel like her leadership with #tlchat greatly influenced the coalescing of a librarian PLN on Twitter! I wouldn’t have a PLN beyond my local community if not for #tlchat! It was my good fortune to attend one of Judi’s AASL workshops over 20 years ago. She impressed me then and continues to inspire me to this day with her talent and creativity. Well-known for her professional books, Judi is also a children’s book author. Her book “Vamos A Leer/Read To Me” was the first book chosen for the Books for Texas Babies, a program which gives a bilingual book to every baby born in participating hospitals. For over 30 years Judi has been writing, speaking, blogging, challenging and inspiring us all. And as if this isn’t enough, she is a marvelous storyteller! Judi is indeed a superstar! Dr Joyce Valenza is the solid rock, the rock star, the foundation stone, the corner stone of our profession. Futures-oriented, learning-focused, child centered, and totally unselfish in her giving and gifting to the profession. I have come to an important conclusion. Libraries in and of themselves do not transform. It is people like Joyce who enable the transformation of lives and learning. Judi Moreillon is a cheerleader and encourager for librarians who are meeting the challenges of a changing school environment. Her blog presents a “you can do it” spirit and always offers sage advice based upon her experience as a school librarian and university professor. And her research on #txlchat showed me that we were not just experimenting with social media to see who would play on our playground but that we were providing a service to school librarians who needed the strength of others to help them do a better job every day. She is the quintessence of a school library media specialist, and I’m happy to count her as one of my colleagues.